One of the biggest factors that affect battery life and battery lifespan of your #iPhone is the mix of things you do with your device. For example, video streaming, playing games, email syncing, word processing, and more. But no matter how you use your device, there are still ways for you to extend its battery performance. This content is designed to help you manage battery/power consumption on your Apple iPhone 7 Plus (#iPhone7Plus) smartphone so as to get the most out of your new iPhone device. If you are still new to the iOS platform then you may utilize this content to manage power or battery life on their new iPhone device. Apple’s newest iPhone 7 Plus handset embeds a lot of cool features that offer every user with the best possible iPhone experience. But some of your iPhone features are not power efficient. That is why when time comes when the device is experiencing a short battery life, disabling these features and modifying settings must be considered an option. The following procedures will walk you through the configuration of some settings so as to conserve battery life of your new iPhone, making it more power-efficient. Feel free to refer to these steps, if necessary. Go to the Home screen and tap Settings. Scroll down and tap Display & Brightness from the Settings menu options. When you get to the Display & Brightness screen, tap the Auto–Brightness switch to turn the feature on or off, as preferred. Otherwise, you can just tap and drag the slider to the lowest comfortable brightness level. After adjusting the screen brightness to a desired level, tap Auto–Lock. This feature is used to adjust the interval for your iPhone screen to automatically lock when idle or not in use. Tap to select the lowest preferred option for your device to Auto-Lock screen. The lower the auto-lock duration, the more power your device will save. After setting your auto-lock duration, tap on Display & Brightness to return to the previous screen. Tap Settings to get back to the Settings menu. From the Settings screen, you can view other iPhone features and functions you can turn on or off, when necessary. Note: When available, connecting to a Wi-Fi instead of mobile or cellular network data can help preserve your iPhone’s battery life up to 50 per cent. Wi-Fi is faster, lower power connection that lets phone calls to be placed while browsing the Internet. But when not actively in use, you can turn Wi-Fi and Bluetooth off because leaving these services always on can also drain your iPhone battery faster. Proceed to the next step to disable Wi-Fi on your iPhone. Tap the Wi-Fi switch the turn the feature OFF. Tap Settings to go back to the previous screen. To disable Bluetooth, tap Bluetooth. Disabling services like Bluetooth (when not actively in use) can also help save power on your device. From the Settings menu, scroll down to and tap Privacy to disable GPS services on your iPhone. Note: Leaving GPS on even when not in use can also drain the battery faster. Continue to the next step to disable GPS. Tap Location Services under Privacy menu. Tap the switch next to Location Services to turn the feature OFF. You can turn it back on when necessary. If prompted with a message, tap Turn Off to confirm action. Another thing that can help extend battery life on your iPhone is through stopping of running services, especially those that are not in use. Follow the next steps to do close any unnecessary apps running in the background. From the Home screen, quickly double-press the Home key to open recent applications. You will then see a pop-up menu that contains all apps running in the background. To close all unused applications, swipe up the screen. Next, tap on the Home screen. Turning off the feature that allows apps to refresh in the background can also help improve battery life. To do so, go to Settings-> General-> Background App Refresh, and then set the switch to OFF. You can check the background activity on your new iPhone 7 Plus by going to Settings-> Battery. There you should see the proportion of your battery used by each application and then perform necessary to manage processes accordingly. Setting your device to download or sync information less often can also help preserve battery life. You have to note that downloading and syncing processes are also among the factors that can inflict quick power drain in mobile devices including your new iPhone 7 Plus. Scroll to and tap Mail from the Settings menu options. If prompted, tap Accounts to continue. Under Accounts, scroll down to and tap Fetch New Data. If you see that Push is enabled or turned on, tap the switch to turn it off. Under Fetch, tap to select the lowest update frequency you preferred. When you’re done setting the update frequency, tap Accounts to return to the previous screen. Scroll to and tap Sounds & Haptics from the Settings menu. Under Vibrate, tap the switch for each option to disable Vibrate on Ring and Vibrate on Silent. When done configuring these settings, press the Home key. Keep your iPhone software updated to the latest iOS version available. Software updates generally embed advanced energy-saving technologies for better and more enhanced device performance. To check for available software updates for your iPhone, go to Settings-> General-> Software Update. If an update is available, plug your device into a power source and connect to the Internet through Wi-Fi to proceed with wireless software update installation. Just tap the Download and Install button to get the latest iOS patch for your phone. 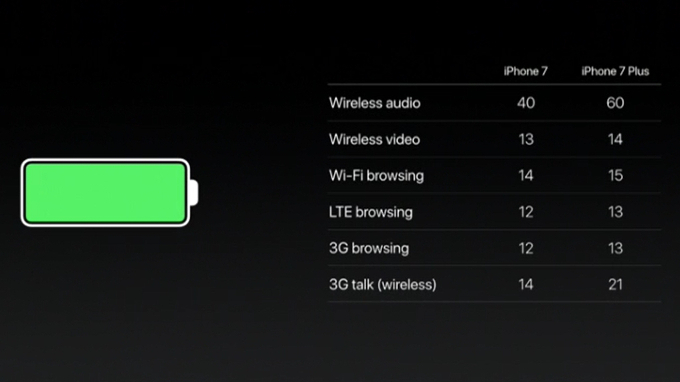 Your iPhone has a Low Power Mode feature you can use any time needed. It is an easy way for you to extend the battery life of your device when you it begins to get low. Your new iPhone is programmed to will let you know when the battery level goes down to 20% and again at 10%. By then, you can turn on Low Power Mode with a single tap. Alternatively, you can enable this feature by going to Settings-> Battery, and then tap to enable Low Power Mode. When your iPhone is in Low Power Mode, screen brightness is reduced, the device performance is optimized and system animations are minimized. In addition, Apps such as Mail will not download contents in the background. Other syncing features like AirDrop, iCloud, and Continuity are also disabled. But key functions such as Internet access, making or receiving calls, emails, and messages will still be available. Low Power Mode automatically switches off when your iPhone charges up again.